Mac is highly known to be one of the most trusted and reliable devices to do different tasks like editing video editing. This is the reason as to why there are a lot of video editing tools that are available for you to have on your Mac. It does not matter whether you would want to add some titles, do some transitions, add a soundtrack, and more, there are several Mac video editing software that you can use for you to fulfill all these tasks. What’s good about it is that there is free video editing software that you can have. However, features of those free video editing software are limited as they do not contain the program’s full feature. Because of this, we have covered some of the free video editing software that you can have and has more than enough features for you to get your job done. The only downside to this is that they could have a steep learning curve and they do not walk you through the whole process of editing your video. Here are some of the free video editing videos that you can have. Yes, they are free and does not have the full features of the paid video editing software but they are good enough to have for you to finish your work. The DaVinci Resolve is studio is free but it is loaded with video editing tools that you can use such as color corrections, image stabilization, and more. Having this free version will also let you work on a frame rate that can go up to 60fps. It will also allow you to transfer your movie into an SD, HD and Ultra HD. The DaVinci Resolve Studio also has a full digital audio that will allow you to make some editing on your sounds. You can have this software downloaded on your Mac App Store and if you would want to have the full version of this software, you can have it through Blackmagic’s website. The OpenShot software actually has an open source and also has a simple interface. However, it does not contain many features. This program contains templates that you can use to create some effects, titles and remove any background. You can also do some slow motion effect and some time effects on your videos. The OpenShot software also lets you make 3D animated titles, effects have an unlimited track and contains more than 70 languages. Even though that this program has some questions regarding on its reliability in the past, still, the OpenShot software is worth a try if you are wanting to have a free video editor on your Mac. There are several Mac users that are actually focusing on the free video editing software that they could have on their Mac and nowadays, you can just easily have it downloaded on your Mac store for free. iMovie is one of the most brilliant and easy to use application that you can have for you to edit your videos. The iMovie have the movie trailer them which is considered to be the best feature of this software. Aside from this feature, you can also have tons of movie effects, transitions, title styles, sound effects, and it can also help you in making your own movie. You can also import audio tracks and photos that you can add to your video. This software will allow you to make changes on your video such as to split it, trim, merge clips, move, and more. It can also help its users to have their file formatted which will also allow you to import your movies directly to your iPhone or to your GoPro. You can also add some titles to your videos and use its effects and transitions. One of the best features that the Video Editor MovieMotor have is that it has a simple interface and will let its users preview their movies real-time so that they would know what the outcome of the movie is. However, since this software is free, there are some limitations in using this program. An example of this is that you can only export videos that only five minutes long, and you can only have one transition but a lot of effects. It is still worth a try though. This software actually contains almost all of the DaVinci Resource Studio have and it contains more. This program also contains effects, multicam editing, a timeline with several players and titling that you can use on your video. It also contains a royalty-free video and an audio content that you can use for you to add to your movie. However, despite the several features that it has, it can only allow you to have an output of 1080p on your Vimeo and 720p on your YouTube. You will also have to register if you would want to use this video editing software for more than seven days. This software has the ability to let you import your movie clips to the hard drive of your Mac, your camera, and you can also have it uploaded to your social media accounts. It also contains a bit complicated interface which will allow you to have some time for you to get used to. Filmora contains plenty of features that you can use in editing your videos such as titling, some audio controls, and plenty of effects that you can use. Just like any Adobe products, the Premier Pro is only available if you avail the subscription package that they offer and if you subscribe to them for a year which will cost you a lot just like in getting the Final Cut Pro X. But if you are looking for a video organizational tool and a timeline tool that will allow you to give a non-linear editor, then this is for you. This software is somewhat similar to its Apple rival which offers you to have a full access when it comes to video editing, effects, color editing, and having multiple formats. The Final Cut Pro X contains a feature called the Magnetic Timeline 2 in which if you are editing videos for a living then you would appreciate this. It can support up to 64 angles of camera and also has an automatic syncing which will make your job easier. It also supports different types of format such as ProRes, RED, XAVC, and H.264 which comes from an SLR digital camera. This is the reason why a lot of users really rely on this video editing software. This software is almost the same with the iMovie video editing software but compared to iMovie which is free, you will have to buy the Elements for $100. It also differs from the iMovie because it is set to make many processes for you to make a movie. One example of this is when you use its Quick mode that will allow you to get some of your clips and then put them on your timeline. Then from there, you can have them re-arranged and have them trimmed and make some transitions and add some effects. However, one of the downsides of this software is that it does not allow you to easily import your movie because you will have to download some additional content. As we all know, saving a movie on your Mac using the video editing software that you have on your Mac will need more space because it is really a huge file to save. This is why you have to ensure that your Mac has a sufficient space for you to save your videos and make sure that your Mac is running perfectly. For you to do this, you will have to make sure that your Mac is optimized. Good thing is that we have the perfect program that you can use for you to free up some space for your video and boost the speed performance of your Mac. This is by using the iMyMac Cleaner. 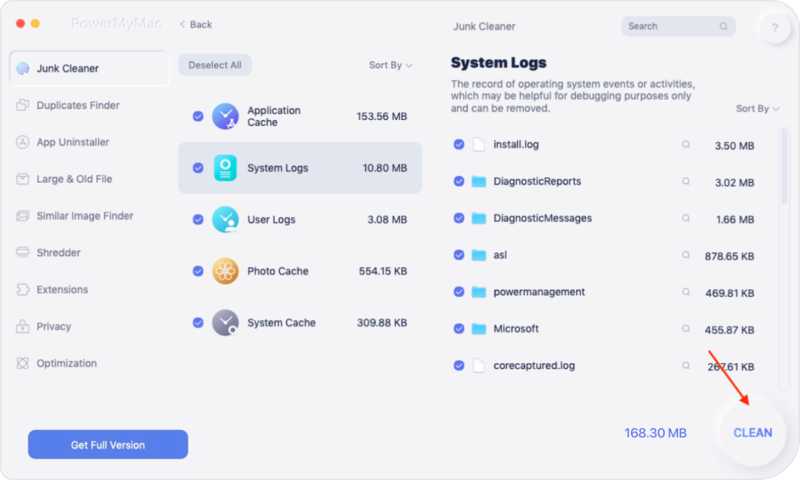 The iMyMac Cleaner will allow you to free up the space that you need or more and will also help you in getting your Mac performance at its finest. 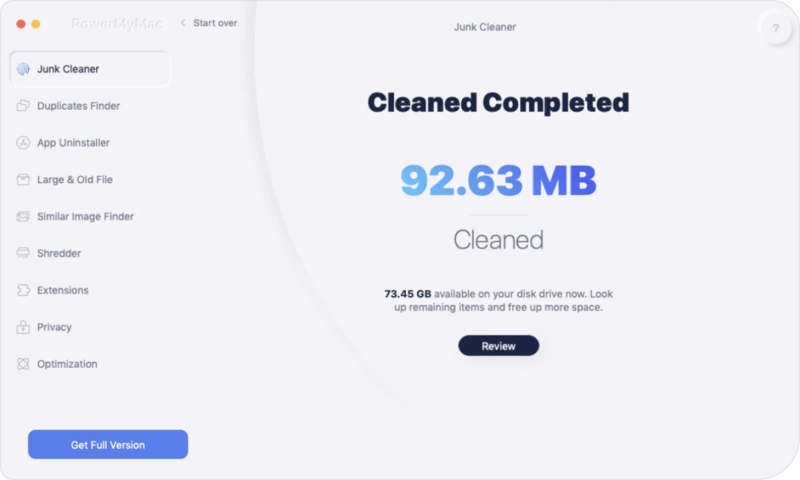 This is because the iMyMac Cleaner has that ability to clean up all the unwanted and unneeded files that you have on your Mac such as your junk files, duplicate files, large and old files, cluttered files, and more. We are going to show you how you can do all this just by using the iMyMac Cleaner. Download the iMyMac Cleaner from our official website which is at www.imymac.com and then has it installed on your Mac. If this is your first time to download the iMyMac Cleaner, then you can have the free trial for you test out all the features that it has. Once that the program is completely installed on your Mac, go ahead and launch it for you to begin with the process. On the main interface of the program, it will show you your Mac’s system status. Also, on the left side of your screen, you will be able to see a set of modules that the iMyMac Cleaner can do. If you want to clean up all the junks that your Mac contains for you to free up some space, then go ahead and choose “Junk Files” from the list. After choosing the module that you desire, go ahead and click on the “Scan” button so that the iMyMac Cleaner will start looking up for all the junk files that you have on your Mac. Wait until the program is done with the cleaning process. Once that the scanning process is done, you will be able to see on your screen all the junk files that your Mac contains. 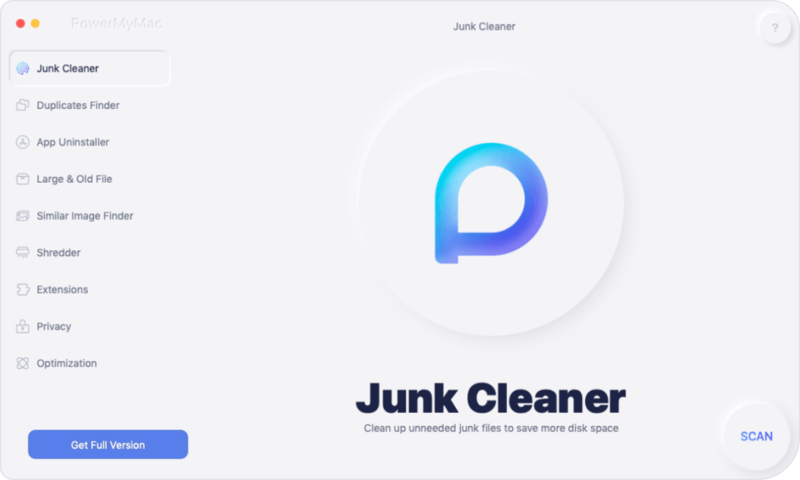 These junk files will be listed in a category folder which will make the cleaning easier for you. Choose a category folder and you will see on the right side of your screen all the items that each folder contain. Review all the items on each folder to make sure that you have all the right items that you want to get rid of. Once you are satisfied with all the items, go ahead and click on the “Clean” button and then hit “Confirm” on the pop-up window that will appear on your screen. You can do the same steps is you choose “Cluttered” or “Large and Old Files” from the list of modules. Once that the iMyMac Cleaner is done with the cleaning process, you will be able to see “Zero KB” in each folder of junk files. This simply means that they are all empty. However, there are some folders that do not have this indication. That is because those folders are auto recreated. There are really several programs that you can use for you to have a better video or if you want to make a whole new movie. All you have to do now is to choose from the video editing software that we have mentioned above. However, before you proceed to the editing process, you have to make sure that you have enough space on your Mac and that your Mac is also having a good speed performance. This is for you to make things easier and less hassle on your end. Lucky for you cleaning up your Mac is easy because of the iMyMac Cleaner. It will only take you a few clicks to make everything easier for you. It can also help you have more space for your new video and boost the speed of your Mac.